"Plenty. He's a brilliant strategist. And with a clairvoyant at his disposal..."
meanwhile to the north, the imperials have set up camp not far from the mountains of bretonnia for the night, preparing to march again come morning. the outriders ready their weapons but do not aim them. the outriders' leader speaks. "Identify yourselves, in the name of the emperor!" ??? : Scouts of Condotierre Balendin Longinus. Who the hell are you?! ??? : Wot is it yoo want den? "You're near our camp. The general ordered us to find out who the hell you were"
??? : Ya not invandin breton'ya are ye? "Aiding them on the emperor's order. Bretonnia is under attack from beastmen and the forces of chaos"
"Hm. Gonna have to report this back to the general. He may want to speak with your leader." Thorgar: "Decided to take a watch duty did you girl?" 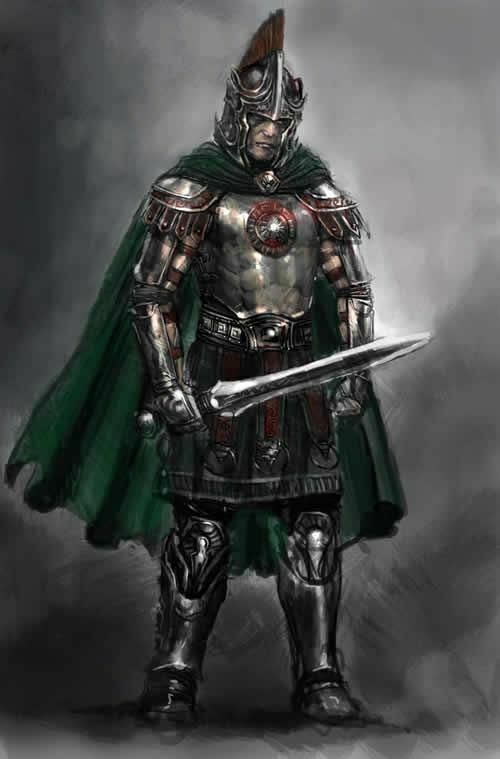 "Got bored and wandered off actually"
Note, that's not what he looks like, I just like the armour. Knight: Am I to presume you are this Balendin Longinus? Balendin: *Nods* And you are? Rosa drops down next to the group and decides to walk with them. "So where did you go?" Balendin: A pleasure, so what do you want? Henry: may we talk somewhere a tad more...private? Balendin: I don't keep secrets from my men, if you have anything important to say, say it here. Heigen: "Smashed it to bits aint painted the walls red with that little priest. Shoulda seen it girl." Henry: *eyebrow raise* Very well. Heigen: "She had a disappointing amount of blood, even hung from her ankles with no head."